I’ve been working on wrapping up my last chapter for my dissertation lately, which involves a broader scale of investigation. Regular readers know that I have done some work with the sedimentology and stratigraphy of Cretaceous turbidites exposed in the foothills of the Patagonian Andes. That work focuses on depositional processes, relatively fine-scale paleogeomorphology (i.e., channels, lobes, etc. ), and stratal architecture. The last chapter deals with what we can learn about the sediment source area from the basinal formations. I’ve heard some hard-rock geologists complain about sedimentary rocks being merely cover and getting in the way of looking at the “real” rocks. That may be, but consider this: mountains inherently erode — that erosion produces sediment — that sediment is deposited somewhere (a basin) — if were lucky it is preserved over geologic time scales. So, if you want to find out about ancient mountain belts, you gotta look at the adjacent basin. Obviously, the basinal deposits do not hold all the answers, but we shan’t forget them either. When the whole defense and dissertation is all said and done, I will post more about the details of this project. But, for today, I’m showing a fantastic image of southern South America from space. Click on it to see a larger version. (note: I downloaded this image a few years ago and simply don’t remember where I got it…I will try and track down the source). You are looking west, that is the Pacific Ocean at the very top of the image. The snow is the Patagonia ice sheet (you can see glaciers coming off of it). This is just the southern tip of the ice sheet – it goes for another several hundred km to the north (to the right on the image). 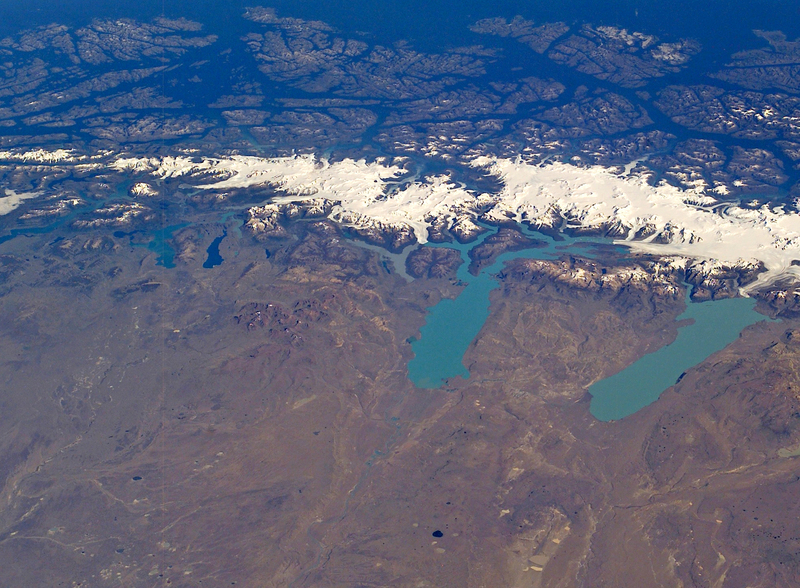 The two large lakes are Lago Argentino (left) and Lago Viedma (right). The rocks we are looking at are exposed in the relatively low mountains just south of Lago Argentino and east of the ice sheet. Note: this image from way above and taken on a clear day, portrays Patagonia as being rather serene…this is wrong. It’s usually more like this. Note: if you want to see some more photographs of Patagonia, check out my Flickr page. This submit truly made my day. You can not imagine simply how so much time I had spent for this info!